I began this journey as a quilt blogger a little over two years ago. 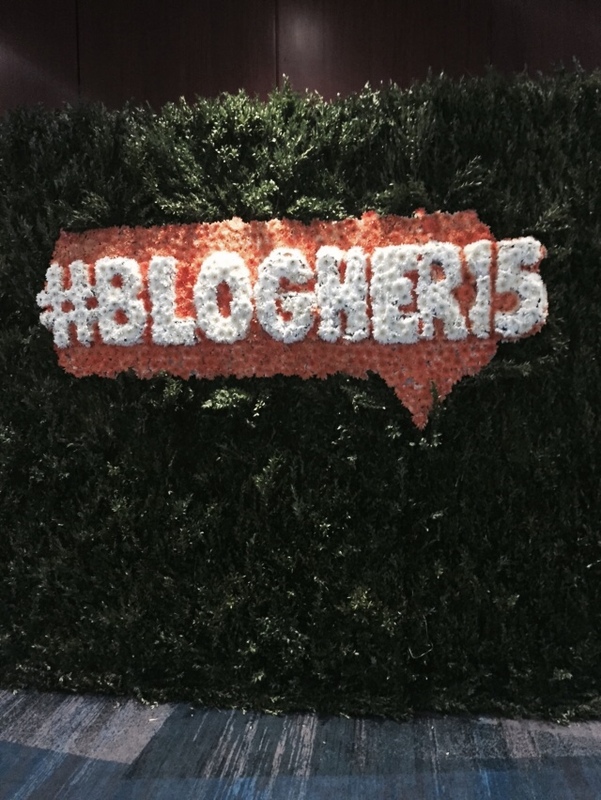 I heard about BlogHer Conferences via the quilt blogger community. Each time there was a conference, it was in a city that I would have to fly to. Being a very budget conscious person, I couldn’t justify it after attending Fall Quilt Market, QuiltCon, and a few other quilt related conferences and events. 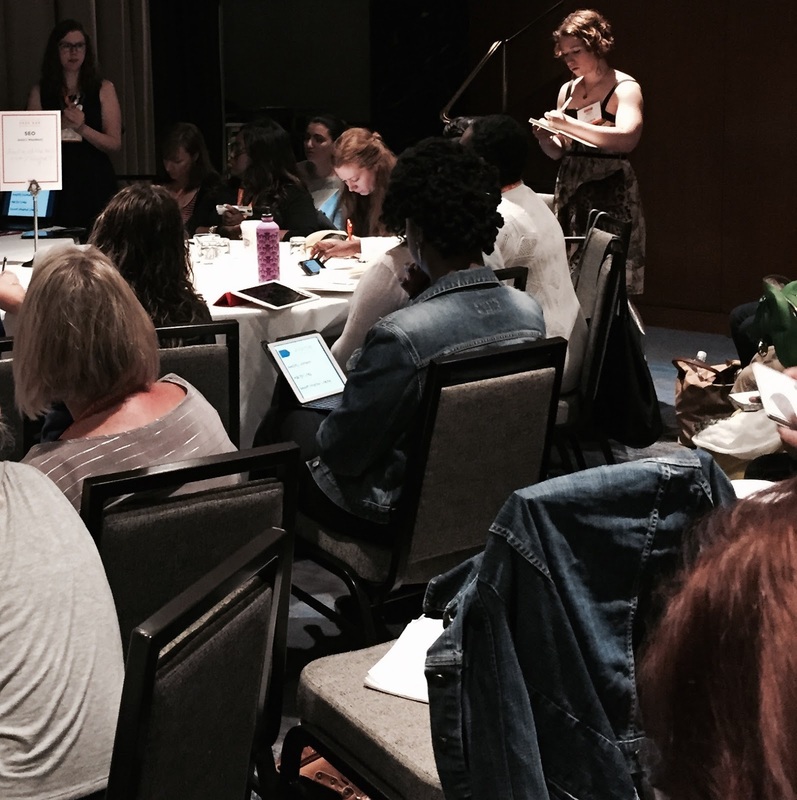 When I saw that the BlogHer 2015 Conference was coming to NYC in July, I read the class offerings, and decided to register. I live an hour north of Manhattan, and could go home for the night, and come back the next day. Good budget decision. 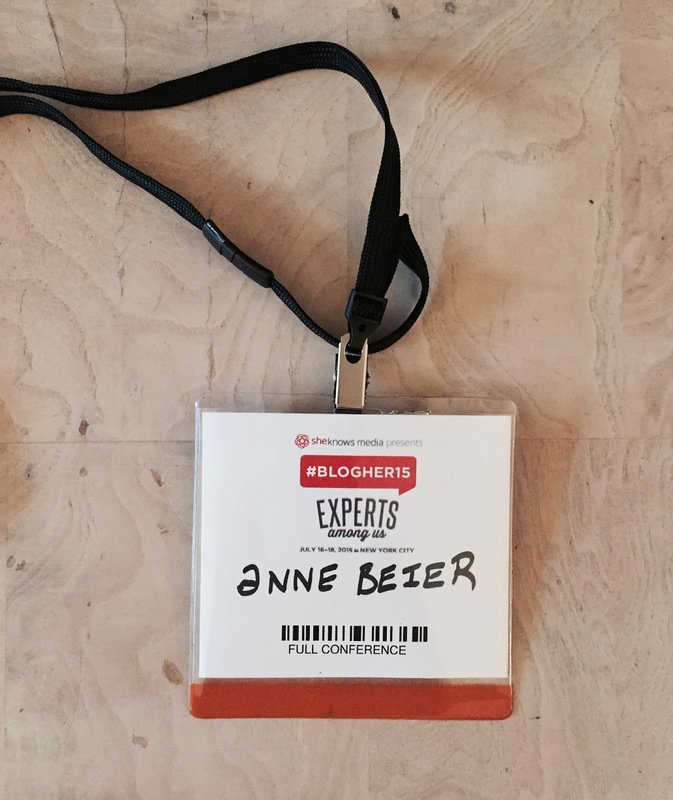 I had a mixed experience, but would attend BlogHer again in another city nearby; Southern, CT, Parts of New Jersey or Long Island. To be fair, I have to throw in this caveat – I’m not sure this conference would have been the same experience for me, if I had attended it in another city, and not NYC. Keep that in mind as you read this post. It has been my experience that conferences in NYC take on a hyper personality of it’s own. But there are lots of pluses I was lucky enough to experience too. I attended four workshops/classes. The first two were on Friday, and the third and fourth on Saturday. 1. Focus and Organization; Tips and Tactics to Focus on Your Content and Get More Done, (D+). Two people gave this class, and didn’t seem to coordinate well as a team. The result was disjointed. For me, I didn’t learn anything new, but that could have happened with any class taken at a conference too. 2. How to Be a Better Instagrammer (A). The presenter was clear, organized and gave good tips and information for those who understand the basics of Instagram. Some of her tips tended to be for bloggers who write about parenting, fashion, food and photography. (Same for the Geek Bar below). Craft blogs are considered a niche blogsphere compared to these others. 3. Geek Bar – SEO (A+). This session was packed. It was in an open area with a few other geek bar sessions going on at the same time. Attendees were competing for seats, and to hear their presenter. However, our speaker had clear, elocution. Loud enough to be heard, but not screaming. She did have to repeat herself a few times. And it was helpful to follow her powerpoint presentation on our laptops or tablets. I wrote more about this in 3A, below. Our presenter is the woman in the top left corner of this photo. And those you see attending, were 1/4 or less of the attendees at this geek bar group. And it was not in a private room, like the other sessions were. Her information was up-to-date with changes that are happening at Google. She was enthusiastic about the topic and was more than generous about answering questions after the session was over. 4. Lightening Lessons on the Latest: Facebook and Pinterest – (A). This was a lightening fast session. I was taking notes so quickly. I am still re-reading the notes and following up about the changes in these platforms. I heard a lot of information, that as I process, I know will be useful. Bottom Line – Know what platforms work for you, your blog and your audience. Keep up with the changes, which are happening all the time. 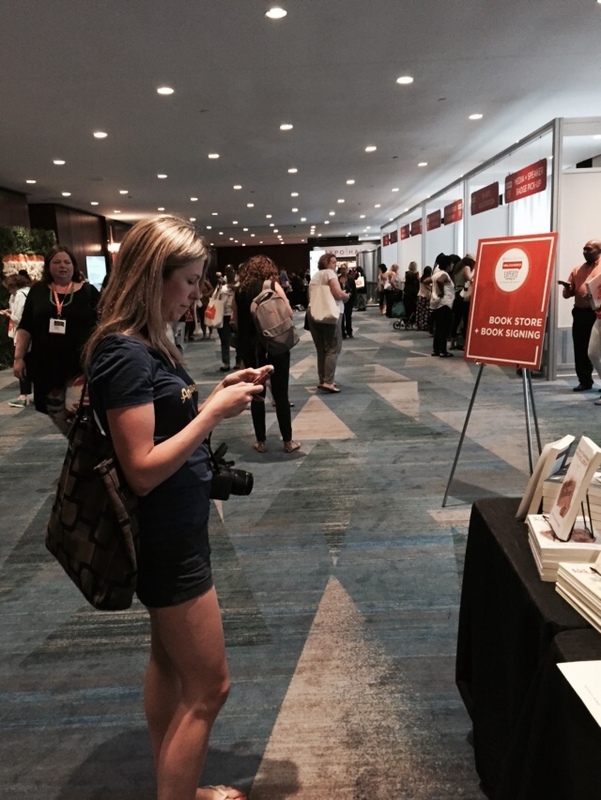 There were several keynote speakers, such as Gwyneth Paltrow and Christy Turlington Burns, which I skipped so I could write down my thoughts, and check out the Exhibitors, which were extensive. My favorite exhibitor was WordPress, but that’s because I’m considering migrating from Google Blogger to WordPress. 1. Very crowded. Insanely crowded. 2. Very disorganized in some ways. About half the staff at the Hilton and who represented the conference couldn’t answer basic directional questions accurately. 3A. I was in a great workshop about SEO. The room was packed with other Geek Bar classes going on. This was next door, (only separated by a curtain), from the main dining room, and where keynote speakers would eventually speak, and loud bands would play. The bands would practice while workshops were happening so close by. Very annoying. It was hard to hear my class leader speak at times, which I mentioned before. And she was really patient, trying to talk over the bands testing their equipment. She still did a stellar job. See Jessica in the upper left hand corner? She had about fifty attendees surrounding her, and there were three to four other Geek Bar workshops going on around us. Fortunately, she spoke loudly and clearly. She was great at answering questions, and instilled confidence in her attendees. She really knew what she was talking about. Answered so many questions. 4. A lot of live bands played music during breakfasts, lunches and dinners. This made it hard to talk and network. This photo only shows 1/2 of this room. It was the main room for keynote speakers. 5. Heavy party component after the workshops – that could be good or bad depending on what you expect out of a conference. 6. Interruptions are part of the conference. This is a given here. Whether it be attendees or musical performers testing their equipment. Fortunately, most of the sessions were in private rooms on other floors, where this wasn’t an issue. 7. Attendees are aggressive about having their questions answered and being up front. (As I said, earlier, this could be a New York thing). 8. No limit on attendees for any workshop. Could be crowded, or not. Therefore, some people were sitting on the floor. 1. 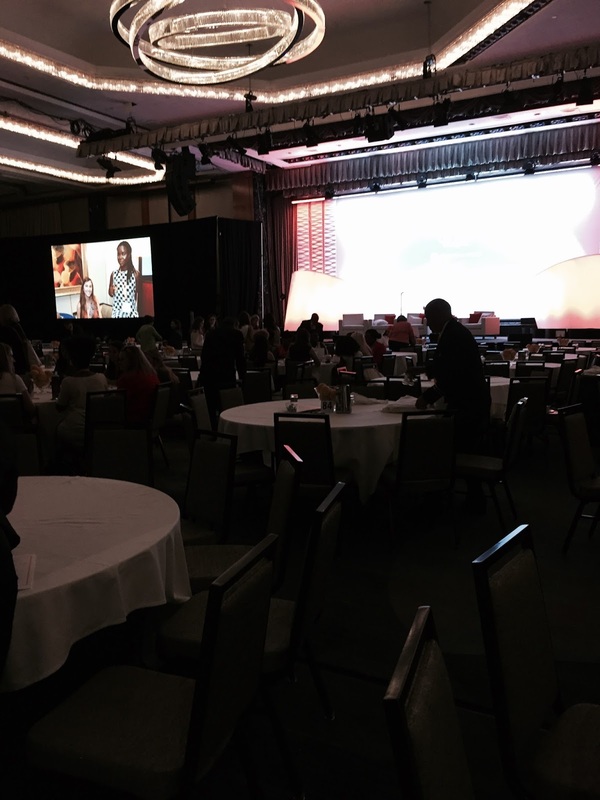 Yes, this is a conference for women, but men were attendees too. Not a lot. I don’t like disclusion, so I see this as a positive. 2. High energy from presenters and attendees. Everyone was nice, generous with information. 3. They fed us good food and provided us with coffee, tea and water all day. 4. There were many classes that occurred simultaneously. If you weren’t happy with the workshop you chose, you could go to another without being closed out. 5. No limit on attendees for any workshop. Could be crowded, or not. Both a positive and a negative. 6. Attendees are at all different levels of technological experience. Some might see that as a negative. Actually, those who were more experienced were quite generous in helping those who had less experience. 7. All the workshops offered were relevant to bloggers in general. 8. The classes were only an hour. Some were called “lightening lessons.” And they were. You have to be a good note taker, or hope the presenter is coordinating it with a powerpoint presentation. (Could be considered a positive or a negative). It wan’t a negative for me. 9. The app for navigating this conference, and informing all involved was fabulous and informative. You could really organize your day easily, and stay on top of everything that was going on. Great job. Lots of WIP progress during the next week. Stay tuned. Happy Quilting! !